I Do It All for Rock ‘n’ Roll comes forth with the glitz and glamour of a Ratt or Cinderella; the piano that is interspersed during this track establishes The fundaMentals as creating something that looks to the past while still having a current and contemporary flair. Streets of Time is an epic ballad that is able to tell a story as the band ties together Black Sabbath, Blue Oyster Cult, and Motorhead into something soulful and heavy. The fundaMentals push things into high gear with a guitar solo that is the pinnacle of this recording. 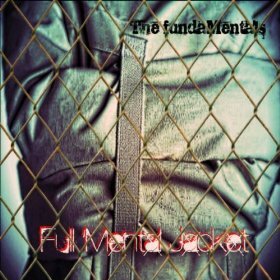 Full Mental Jacket concludes with It’s About to Get Loud, a track that immediately sizzles with furious guitars and a progressive rock-themed synth that firmly places the band into an early-seventies groove. There is a crispness to the arrangements that make this cut into a must-listen for anyone that is a fan of rock. 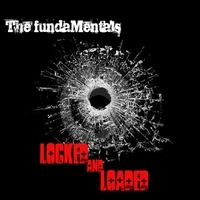 Locked and Loaded is a great addition to the sound that The fundaMentals cultivated during their Locked and Loaded EP. The track is a down and dirty composition that would have worked perfectly in the mid-seventies. Rqaucous guitars, punctual drumming, and a sheer vigor are present in droves during this composition. Narration is created by the dynamic between the constituent elements of The fundaMentals, which cede the story-telling when the vocals kick in. The track has enough energy to reach well over four minutes, while the hints of rockabilly that play at the periphery provide this with enough energy to end strongly. Check the band’s website for biographical information, samples of music, and anything else you could possibly want to know about this absurdly talented band.